History of sushi dates back at least 6 centuries, but the sushi we are familiar to day is formed only during the Edo period which is roughly 200 years ago. If we study the original Kanji of the word sushi 鮨 (which is different for the Chinese or modern Japanese phrase 壽司 🍣) the word can be interpreted as “preserved fish”. Alas, the beauty of these ancient scripts – so deep in meaning. 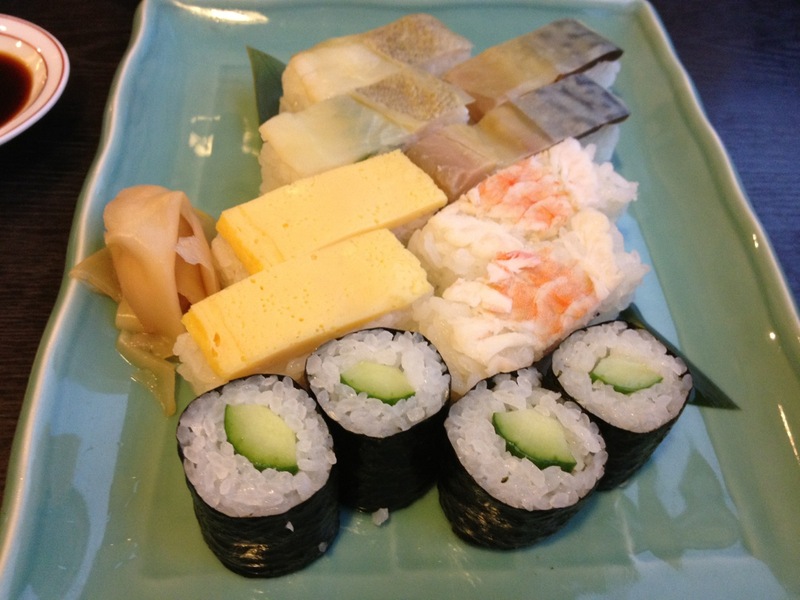 Osaka-style sushi and Kyoto-style sushi date back a lot longer than the Nigiri-sushi (握壽司) that we are familiar to day. And today, we look at this long traditional style that is seldom found in Singapore. First rule of thumb – nothing is raw. The fish are marinated, vinegared or salted, and the rest are cooked ingredients. Ignore the maki in the picture. The specimen was part of the plate for taste not authenticity. Osaka-style Hako sushi featured the squarish sushi that you see in the picture. This is because they are pressed and formed in a box, and are cut into size before serving. And remember Rule of Thumb. In this example, you see vinegared snapper, mackerel, cooked prawn and tamago (egg omelette) served in the moriwase. Kyoto-style is also known as Bo Sushi (or Stick Sushi). 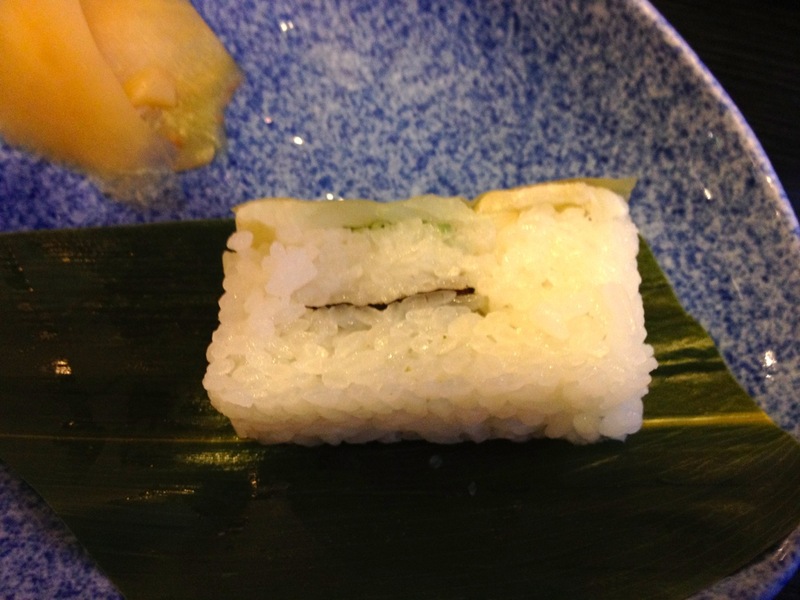 In this example, cured mackerel is wrapped on normal rice and vinegared kelp and wrapped into a stick. It is cut to size before serving. Now, enough explanation, how do they taste? I like the Kyoto-style Kelp with Cured Mackerel. 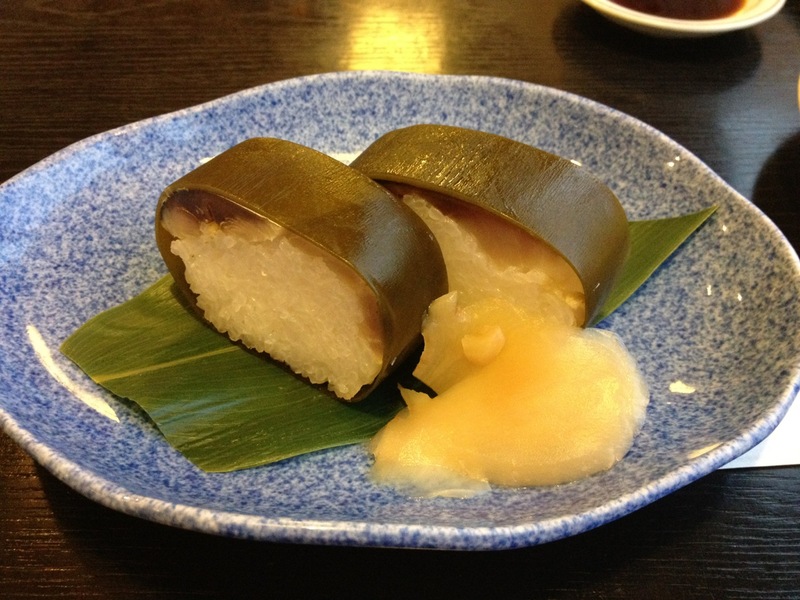 The fat of the fish has formed a layer of jelly between the fish and the rice. 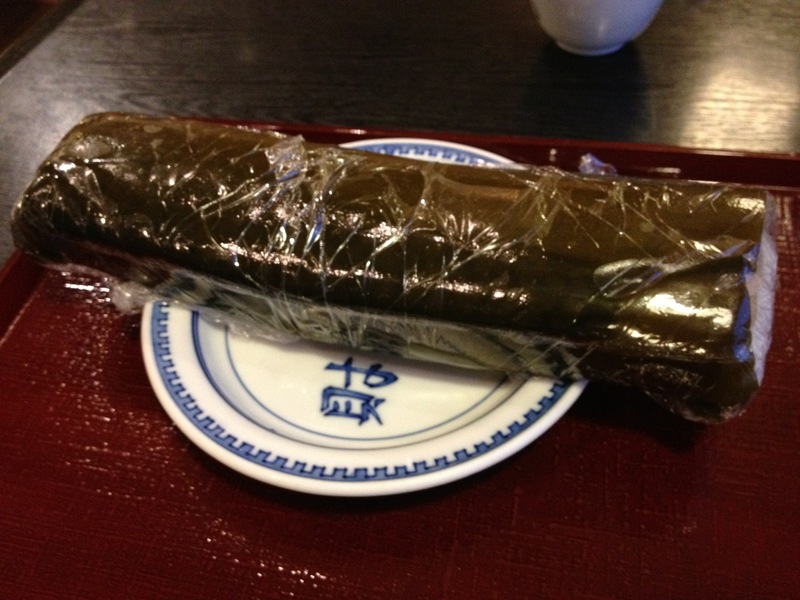 The kelp kept everything together and protected the sushi during transportation without air-con. This is a substantial dish and appetising because of the sweet, sour, savoury taste of the combination. As for the Osaka-style sushi, I felt they are a part of the progression of evolution of sushi from the preserved to the raw sushi we have today. The Kyoto sushi would be closer to what you have back them, then came the Osaka ones, and finally the Edo (Tokyo) nigiri sushis of today.